Most people are easily pleased if you simply put some thought into the basic needs and just meet them. We don’t have to go overboard and have on the clock massages like in the movie “The Intern” though that would be amazing wouldn’t it? We’ve sone the dirty work and here are the top 5 things you can’t miss having in an employee break room! You can’t have people standing of course! Opt for a variety if your budget can comply. Say you have a small tween a table than can seat at least 6 people, a couple of bean bags and include the napping area into lounge area seat count. Which leads us to our next recommendation. 2. A quiet zone/ Nap area. Sounding a little silly that you would promote employees to nap.. but it has been proven that power naps or even a few minutes in complete silence helps immensely with productivity and boosting creativity. Some times people just need time a lone in a peaceful and quiet environment to recharge. Speaking of recharging, snacks are a great way to boost energy throughout the day. Make sure to have a snack station where employees can go to grab some coffee, some fruit or a granola bar. Try to avoid cheap sugary snacks that may be good for the soul but not good for the gut. Sugar crashes are a real thing and we want to avoid that at the work place! 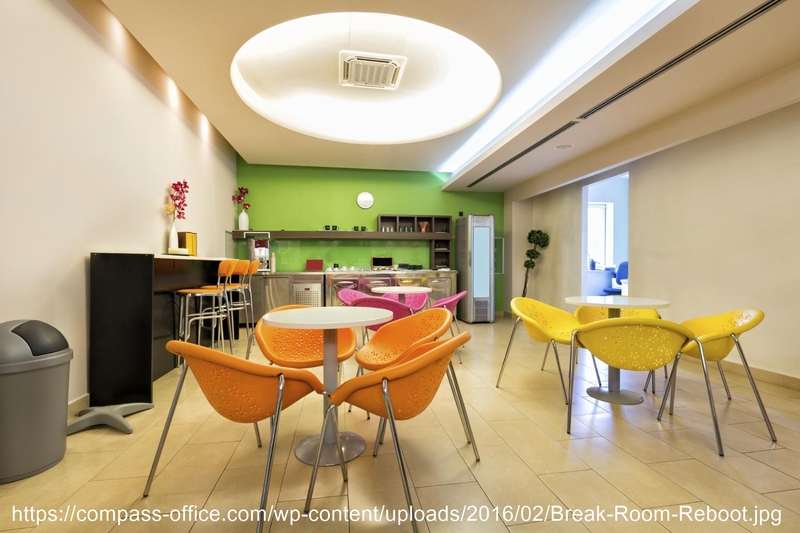 There are of course many other things you can include in a break room depending on the environment you have at the office but these are the absolute musts that no matter what type of office you have, it’ll be sure to lift employee spirits! Previous Creating the perfect guest area at your office!